Some organic food experts are worried that the term used to describe non-genetically modified crops and produce may soon become nearly meaningless, thanks in large part to undue (readcorporate) influence on the Department of Agriculture. The determination was odd, says Rigot, because literally hundreds of high-res photos, satellite imagery and state regulatory documents were submitted as evidence to the NOP which, together, should have produced more than enough doubt to motivate someone to launch an investigation. A former NOSB board member who manages the country’s first certified organic dairy farm, Kevin Englebert, was clearly disappointed by the NOP decision, seeing it as a lapse of the organization’s responsibilities. “For the NOP to not even investigate these facilities means one of three things: 1) the personnel who made that decision are inept, 2) they are too close and friendly with corporate lobbyists and multimillion-dollar certifiers that are involved in the process, or 3) the most likely scenario, corrupt politicians are preventing them from enforcing the law,” he said, as quoted by Rigot, who intimated that elements of all three reasons might be at play. He noted that the National Organic Program is a very small part of the Agriculture Department. However, many large corporations have a significant vested interest in organic foods, especially the processed foods industry (including General Mills, Smuckers, Coca-Cola, etc. ), and similar to GMO corporations, they’ll do whatever it takes to expand their bottom line. “Circumstantial evidence makes it reasonable to conclude that the same type of undue industry influence that appears to have prevented Vilsack and the USDA from acting quickly to end the Salmonella outbreak [in 2014] and limit the health toll is behind efforts to dilute the federal organic standards, control the NOP leadership, and limit or obstruct the ability of the congressionally authorized National Organic Standard Board from doing its job efficiently and with integrity,” Rigot wrote. For more breaking news regarding organic agriculture, check out Organics.news, powered by FETCH.news. In September 2014, we reported that the Cornucopia Institute had conducted a study to examine the voting records and backgrounds of the 15 members of the NOSB. 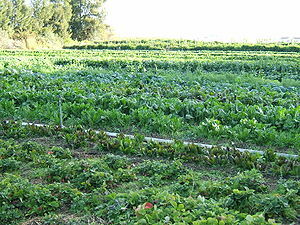 The board is an advisory body created by the secretary of agriculture to make recommendations aimed at preserving and protecting the organic farming industry. What’s more, the board is also required to maintain and update the National List of Approved and Prohibited Substances – a list that identifies substances and other compounds that cannot be used in organic crop and livestock production. The NOSB’s seats are supposed to be filled with members representing farmers, environmentalists, public interest advocates, handlers, retailers, scientists and a USDA certifying agent. However, Cornucopia found in its study that corporate representatives were filling seats intended for farmers and other independent organic industry stakeholders, often leading to decisions that were not beneficial to the organic food and livestock industry. Details surrounding that study are posted here.